The Nintendo Switch, a hybrid home and handheld gaming console, was released last Friday and met with rave reviews. 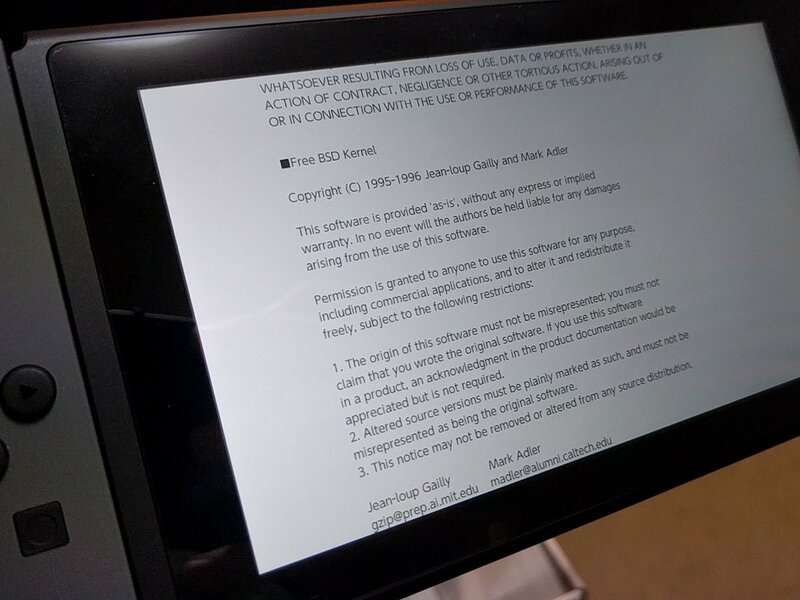 A user found that the Switch runs on a FreeBSD kernel according to the copyright notices. This is the second gaming company to use FreeBSD for their console’s operating system, Sony based PS4’s operating system Orbis OS on FreeBSD. Kudos to Nintendo and Sony for supporting FreeBSD! isn’t the ps4 and switch an example of “tivosation” ? there may be a difference here that i’m missing, though.